So it looks like I touched a few nerves with my last bad Christmas song pick! Well, it takes all types, they say ;). 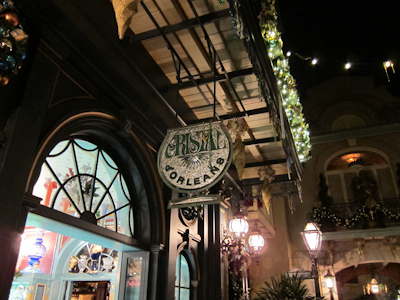 The “where” is above the Cristal D’Orleans shop. 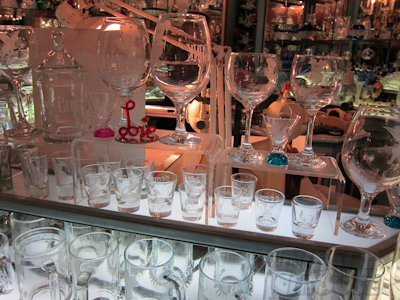 This shop is another crystal shop, not to be confused with the Crystal Arts shop on Main Street. Which is kind of like, how many crystal shops does one amusement park need? And I really hope that people buying these items have the sense to not take them on rides or something. You know it's French because it's not spelled "Crystal" and there's the d' in the name. 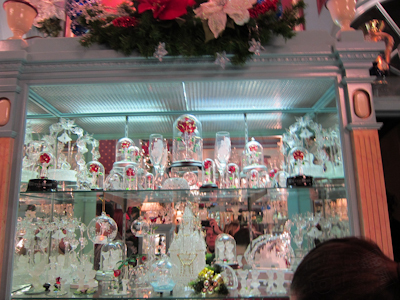 The Cristal d’Orleans carried much of the same glass stuff as the Crystal Palace, but it seemed to me like there were fewer figurines. Also, over on the Crystal Palace post I complained about how the window said “glass cutters” and that there wasn’t any glass cutting going on. And a sharp-eyed reader said, “Dude, wait! 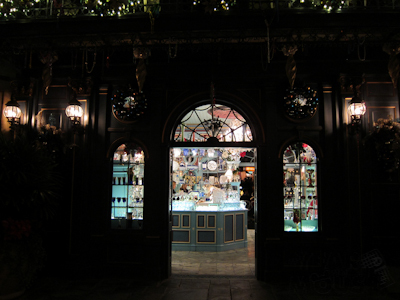 There is glass etching in New Orleans Square, so stop dissing the Crystal Palace!” (paraphrased). Sure enough, here it is. Although the petals do not fall from the glass roses. I have to wonder if those are less popular than they were when the movie first opened. 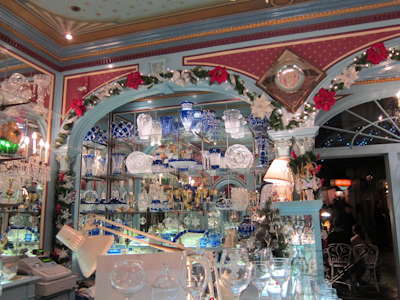 And my Standard Research Methodology also revealed that the Cristal d’Orleans is actually owned by Arribas Glass. Go figure! I always wondered who bought this kind of stuff? 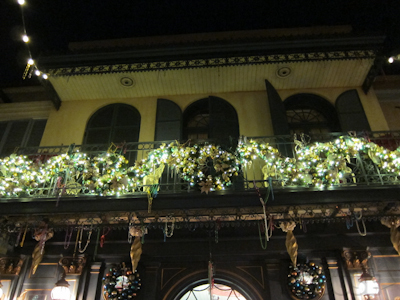 I always thought it was gaudy, but to each his own, I guess.